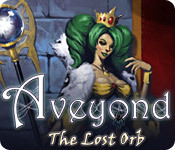 This game continues the quest of the young hero Mel and her friends as they search for another orb rumored to exist. The evil Gyendal is safely behind bars and wearing an anti-magic bracelet so he cannot use his evil powers. And we're off to Mel's wedding to Prince Edward! This guide contains lots of helpful information to make completing the game easier, but there are definitely some spoilers, so don't read too far ahead! This game was long, but a lot of fun, and hugely addictive! Looking forward to the next one in the series!